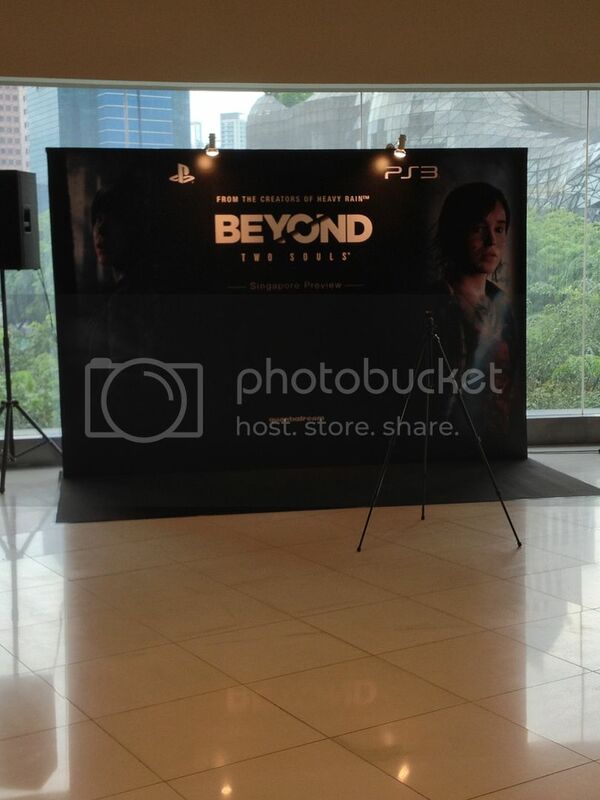 Ok.. so I just got back from the Beyond: Two Souls Trial Event in Singapore, organized by Playstation Asia & IGN Asia. Headed there early to the event, with a friend, but it seemed there were already people there ahead of us. 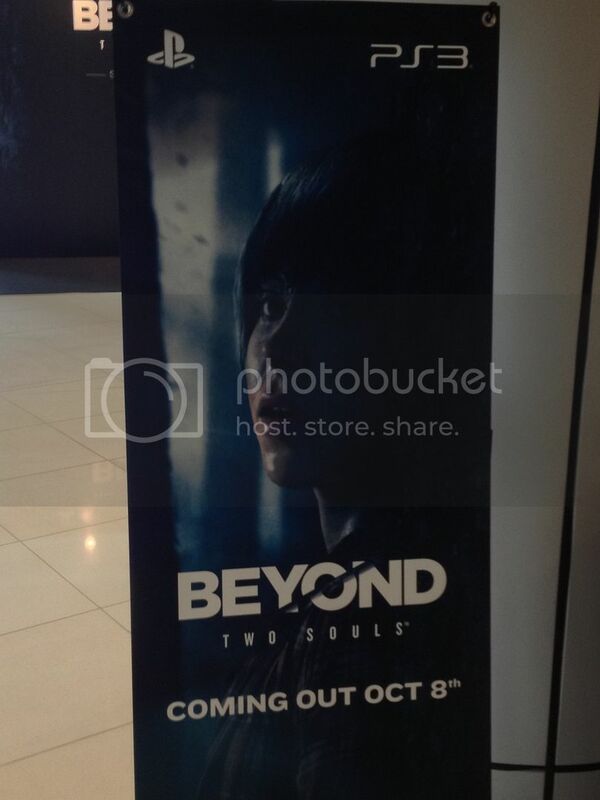 A year ago, I was a little confused after E3 2012 about The Last of Us and Beyond: 2 Souls. 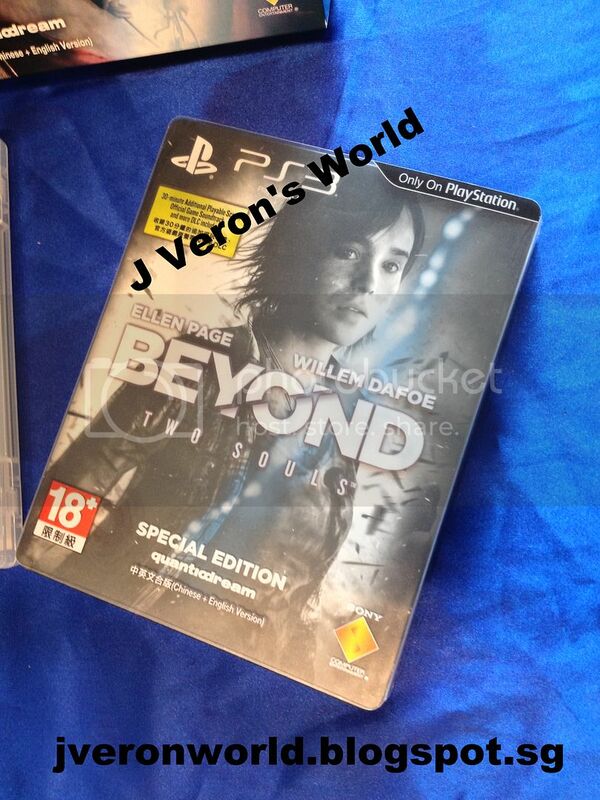 Probably, largely due to the fact that both games seemed to have a character that looked like the actress, Ellen Page. To me.. one was a game with a post-apocalyptic setting with Ellen Page and the other was Ellen Page with powers.. Well, to be honest I had finished watching the first trailers and haven't been checking out what the games were really about. Of course, I figured out the differences later..
After playing The Last of Us, I think of it as a great game with an intriguing storyline and Beyond: Two Souls seems to be in the same vein. Even though the differences are clear, at the back of my mind, I still do compare the 2 games and while TLOU has lived up to the hype, so much so that it's very likely to be a contender for GOTY, it remains to be seen if Beyond will match up. With the issues of TLOU using Ellen Page's likeness in their game, without her permisson, I think it's safe to say, there is some pressure for "her game" to do better than the other. 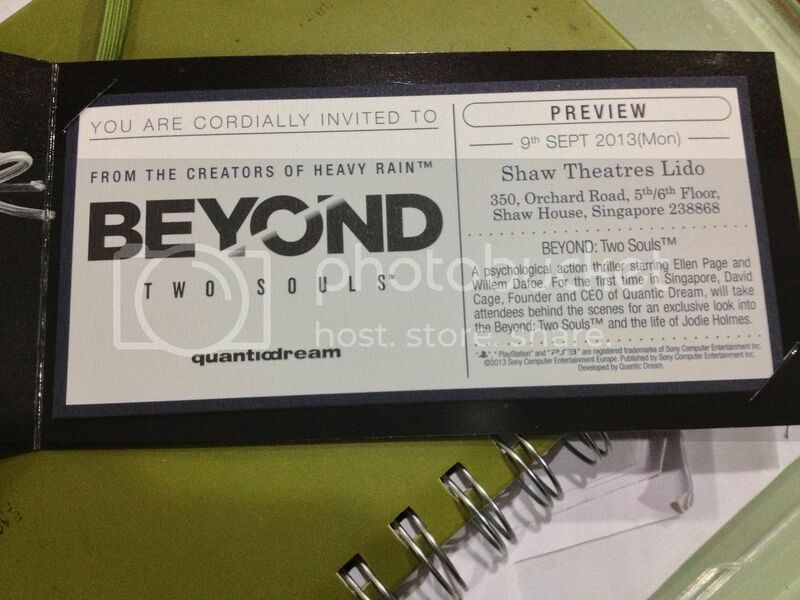 Anyway, back to the event..
Held at Shaw Theatres Lido, the venue was much bigger than the one they had for The Last of Us. With a larger group, several stations were setup for attendees to try out the game. Upon picking up the controller, I felt that the controls were quite similar to Heavy Rain, not surprisingly as both games were by Quantic Dream. I started off with Jodie (Ellen Page's character) doing some fight training. Though somewhat similar to Heavy Rain, it wasn't exactly the same. When Jodie fights off attackers (training as well as later on in the game), the game goes into slow-mo and this is when you, the player have to move the right analog stick in the right direction based on Jodie's motion. For example, Jodie has to block off attacks by moving in the opp direction of the attack and when she hits, say downwards, you follow through the motion by moving the right stick down. Action buttons are hinted by a white spot on the screen. Let's say Jodie is moving from the left to a door. So when the white spot appears on the door, you move the stick towards the right so Jodie will open the door. If she is climbing up a cliff and the white spot prompt appears above her, you move the stick upwards. Pretty simple..
And then there is Aiden.. an entity that is connected to Jodie since birth. This entity is the reason behind Jodie's problems but it's also what helps her in tough situations. You can control the entity to harass people or even choke or possess enemies to protect Jodie. More on this entity later..
Gamers trying out the game.. 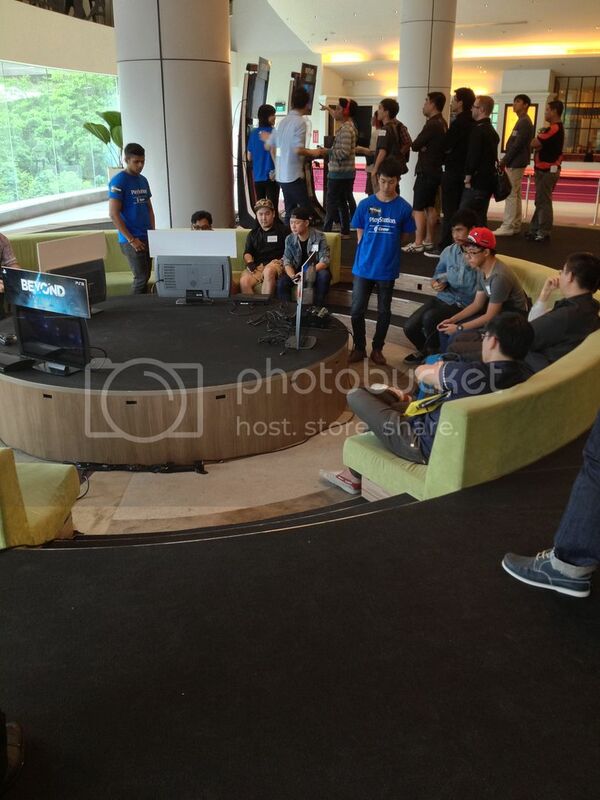 There was ample time for most of us to try out the game, with several Playstation staff guiding us through the game. Almost 2 hours later, we were brought up to the theatre to meet the man himself, David Cage, CEO and Founder of Quantic Dream as well as the creative director behind Heavy Rain and Beyond. David Cage started off by comparing his latest project to the critically-acclaimed Heavy Rain. Quantic Dream have created a new engine from scratch for this game, implementing some of the features that have actually been designed for next-gen. (So I guess that's a confirmation that they have already started work on something for PS4?) 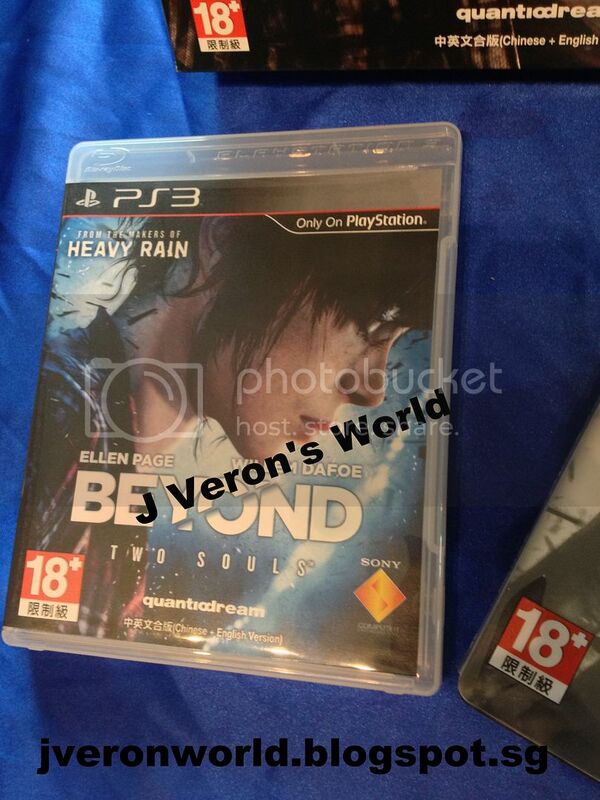 While Heavy Rain's storyline was set over a preiod of a few days, Beyond will take place over 15+ years. The game will not move in a chronological order though, instead jumping from different phases of Jodie's life, from being an 8-year old girl to an adult. While David Cage admits that this could be a little dis-orientating to some, he feels that this pattern is ideal for the experience. David Cage also goes on to say how he feels that he wants his games to move away from the "Game Over" screen but instead to have different consequences for "failures" or decisions that the player makes. These decisions shouldn't be obvious to the player as choosing A or B. It should be organic so that even the player wouldn't know when or what will change the course of the game. Consequences can vary.. It could be something minor, or local, let you see or miss a cutscene, or drastic enough to change the game's ending. (Yes, there will be different endings to this game. Not mentioned how many exactly though). For example, when we tried the demo, there was a scene where Aiden had to wake Jodie up to warn her of guards approaching. With the help of the Playstation staff, I knew where and how to wake Jodie. Afterwhich, Jodie fights through some guards before making her way up to the roof of the moving train. But.. what if I hadn't woken Jodie? David Cage shows a cutscene where the guards actually sneak up on Jodie and handcuff her before locking her up in a room. Jodie then has to figure out a way to escape from there. Different consequences for my actions.. Similarly, another part of the game has Jodie arrested and loaded into a van while a different scenario would have her threatening a bruised and bloody guard. And what about Aiden? David Cage explains that Aiden isn't a power or pet but an entity of it's own that has feelings and a mind of it's own. Aiden is connected to Jodie so it can't travel too far away from her. It is like a ghost where it can travel through walls and ahead of Jodie to assist her. It was said that you will be able to switch between Jodie and Aiden freely, though I was not aware of this while trying the demo. 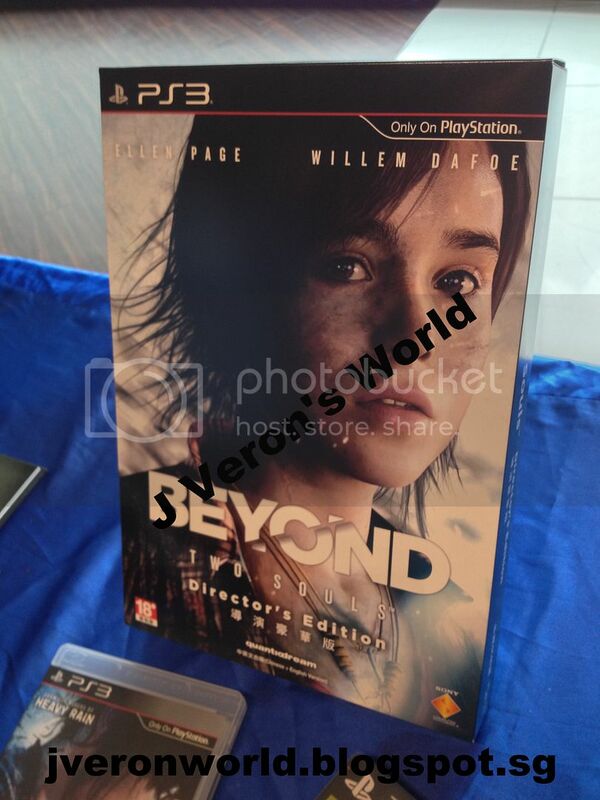 David Cage goes on to share his own experiences, while working on the game, including the inspiration behind the story of Beyond where he lost someone close to him, and he channeled that loss into something positive and created the story of Beyond. Likewise, for Heavy Rain, where he used his experiences as a young father. It was very heart-warming to hear him talk about his experiences. Also on how he got actors, Ellen Page & William Dafoe to come on-board and how Quantic Dream used Performance-capture technology to record the actor's movements, facial animations, voice-acting all at one go. Apparently, Quantic Dream were also the first to be invited to the Tribeca Film Festival to showcase a video-game where it wowed certain audiences with it's wonderful blend of story-telling and interactive design. David Cage also shares that the reason behind getting actors to play the game's characters was about the realistic performance and not for marketing or having popular-names on the box and I feel it works perfectly. The convincing performances adds to the immersiveness and emotional aspect to the game. Quantic Dream has also taken experiences from gamers who have played Heavy Rain while their friends, wives/girlfriends, parents and even grandparents watched. With that, they have included a mobile app named BeyondTouch (not sure on the spelling) where the 2nd player can actually have a hands-on approach. Using touch screen features, the 2nd player can help out by possibly playing as Aiden. The 2nd player won't be limited to a mobile device but can use a controller too. 2 Controllers, 2 Mobile Devices, 1 each.. any combination works.. and the app will be free to download! 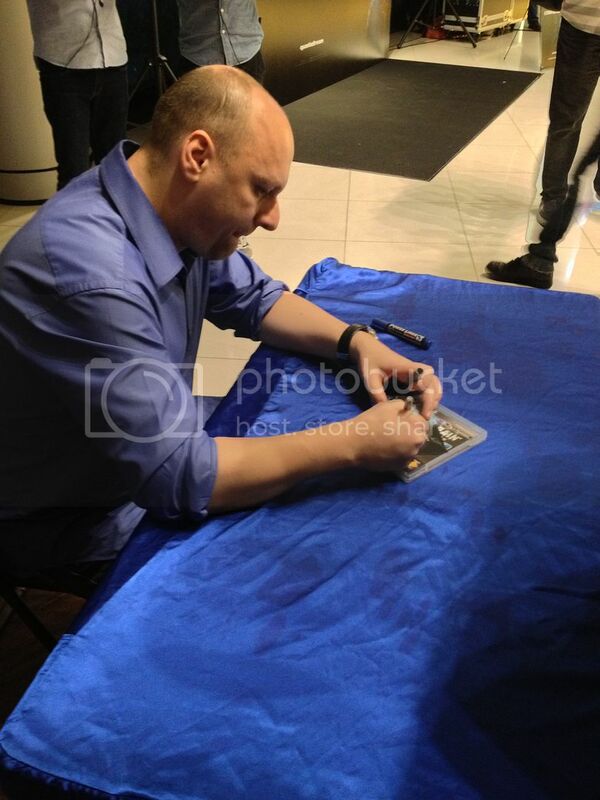 It was really really great to have David Cage come to the event to share his views & experiences. He was also very friendly and obliging. 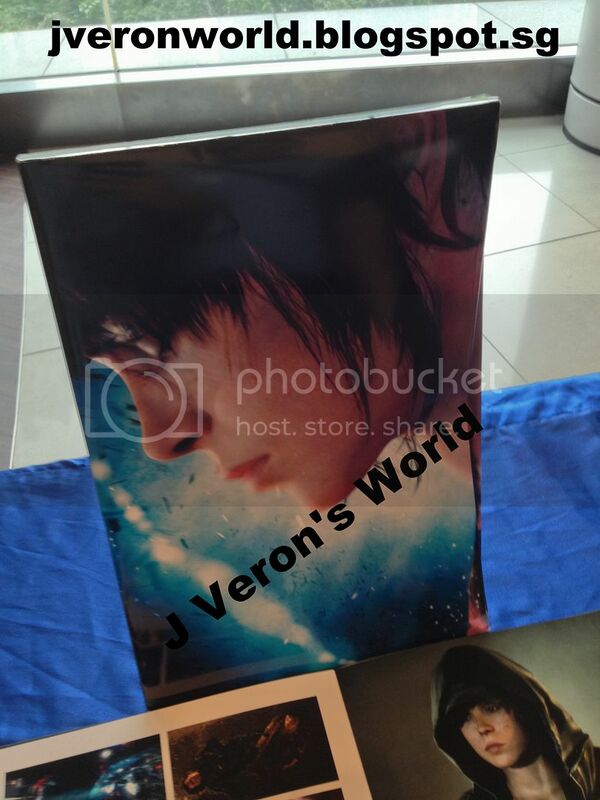 Took some photos with all the attendees and even did an autograph session. There he is! Not my item though.. Very cool of him to stay all the way. 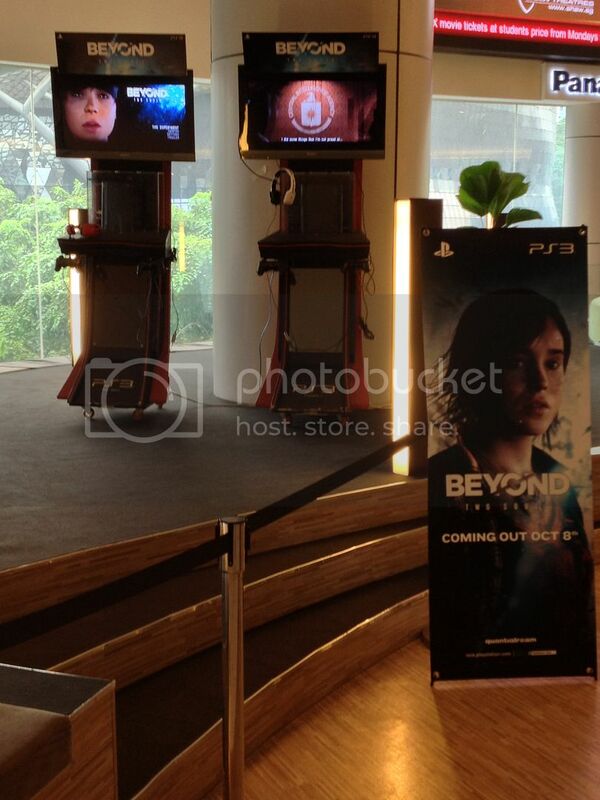 Definitely great to see Playstation Asia taking our feedback seriously at the TLOU trial event to see some personalities behind the game coming down for the trial events. It was much more enjoyable and it didn't even feel like they were just doing it to promote the game like Hey! We got a new game. Try it, pretty cool eh? 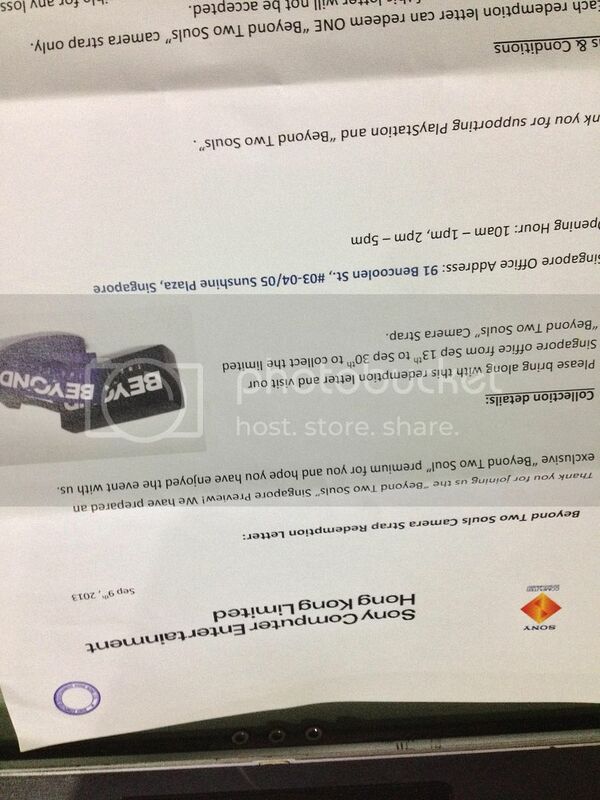 Ok go down to these stores and pre-order it, you get free goodies! It was well-planned with a larger group but plenty of time for everyone to try the game, a good and lengthy feature by the Creative Director. 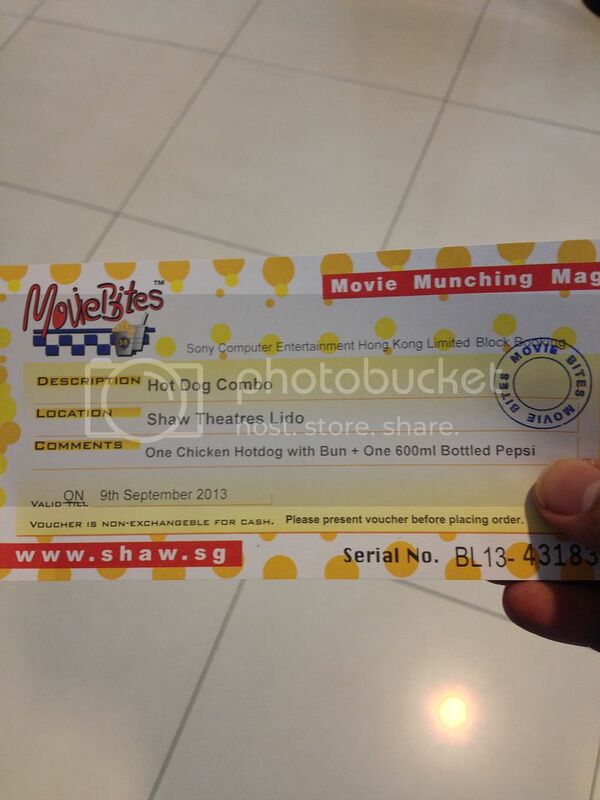 Even the freebies were awesome! I thought this was pretty cool. 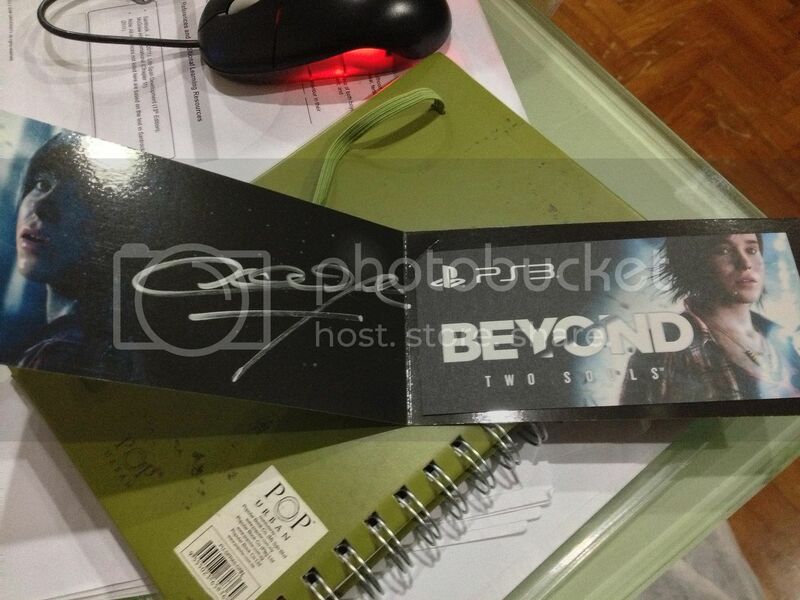 A good-quality invitation ticket that will serve as fantastic memorabilia to remember this event. 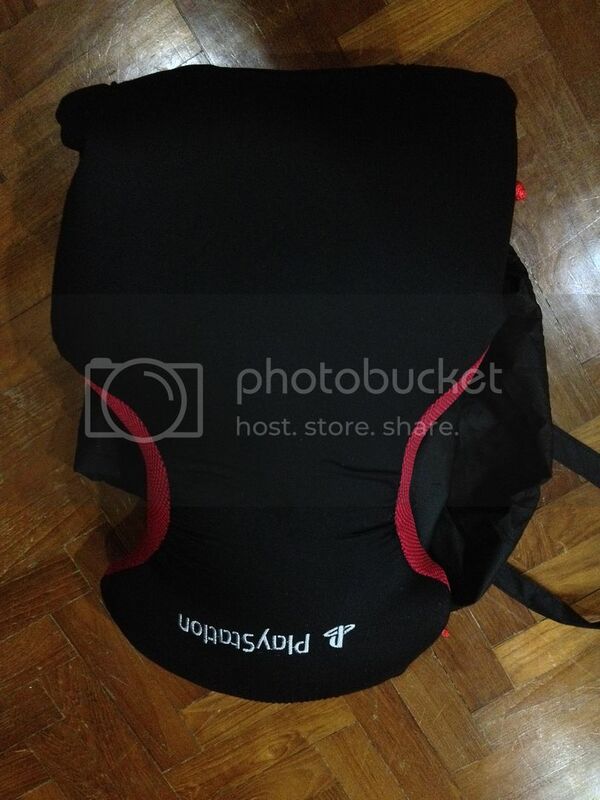 This is what I'm talking about when I ask for some proper freebies at trial events like these. 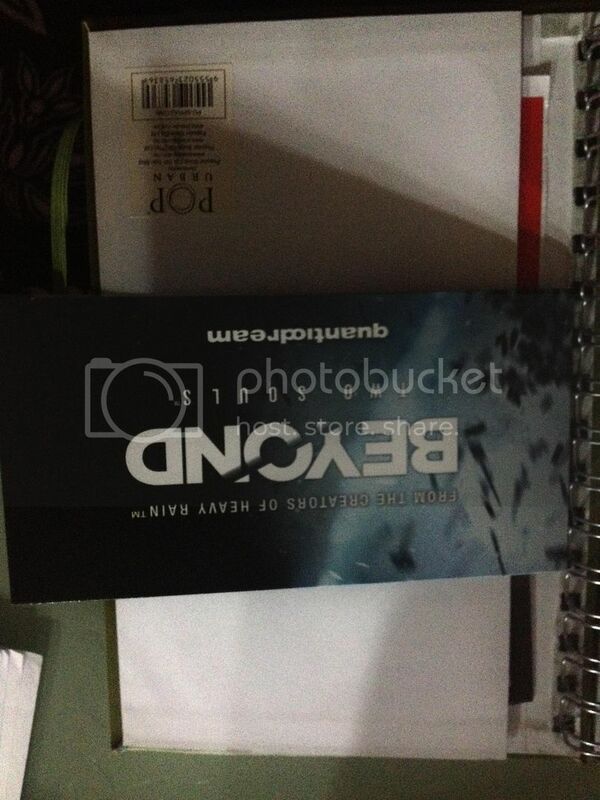 David Cage's autograph on my invitation ticket! 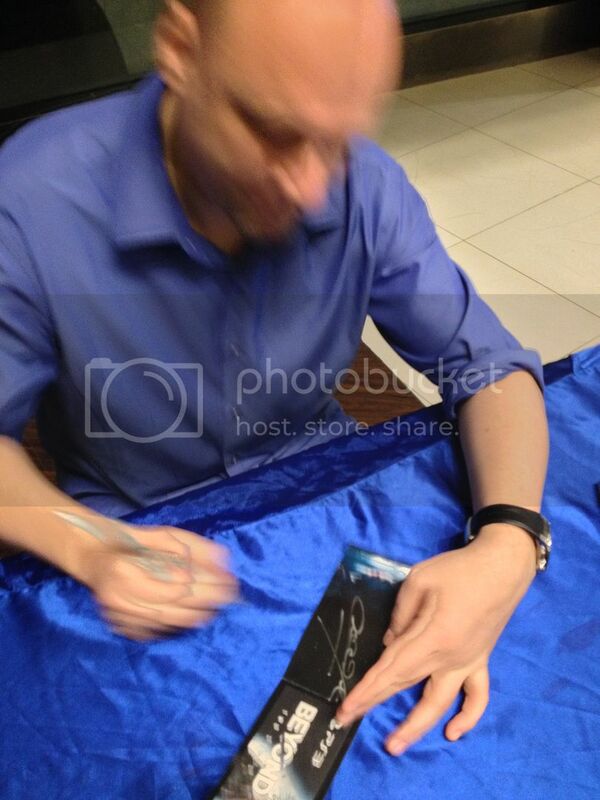 That's 2 autographs in 2 weeks! which I have to collect at another place.. Not too sure if I understand the reasoning behind this though. Why couldn't they just give it out at the event? 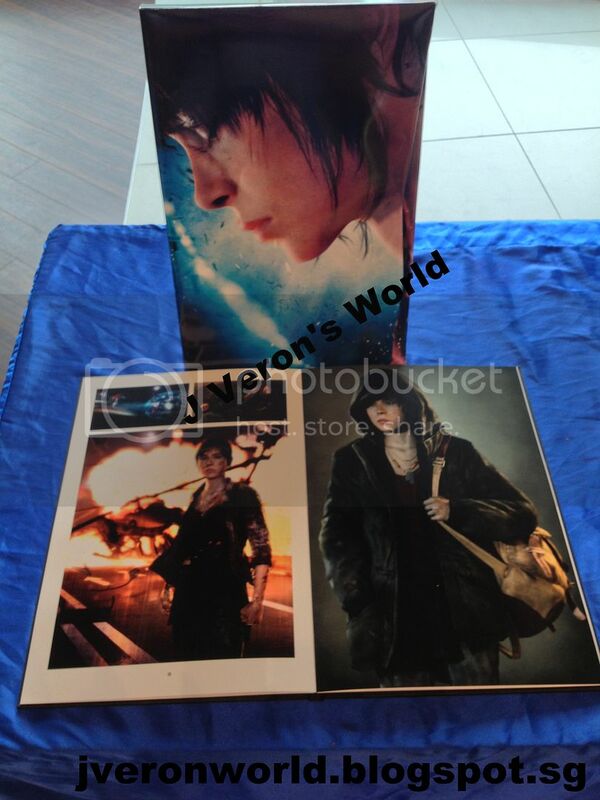 Oh well..
Oh and here are some photos of the Director's Cut Edition contents. After my trial, I'm pretty convinced on this game. Not sure I'll be pre-ordering it, mainly due to GTA V but the Director's Edition is pretty tempting for the extra content. I'll definitely be getting this game though. I'm a sucker for games with intriguing stories and this is definitely one of them. 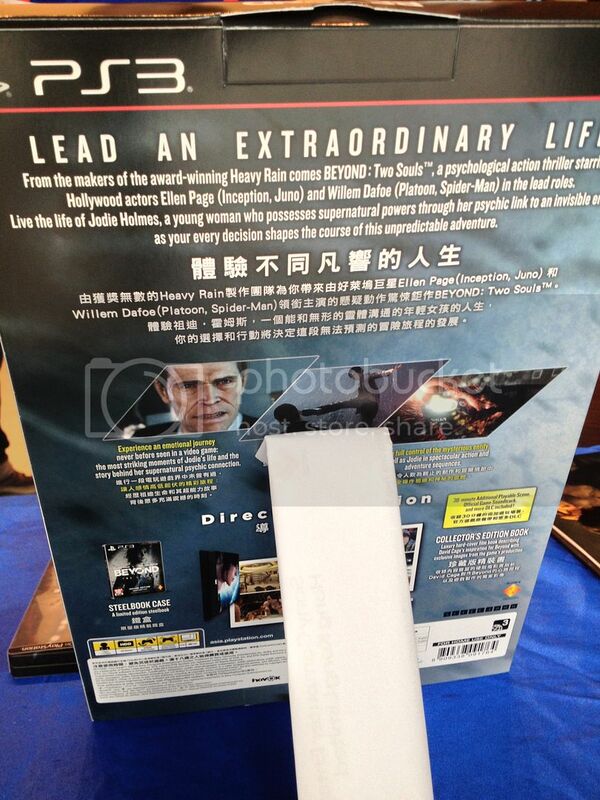 Saw a few emotional scenes and with certain scenes on a little Ellen Page, it's definitely going to be interesting. It seems that games these days (The Last of Us as well) are deliberately focusing on the softer side of me, with me becoming a father to a little girl last year... Hmm..
Also had a chat with the Playstation Asia guys and they hinted that success of pre-orders for their games will lead to better promos and exclusives in future games.. So what you guys waiting for? Go make your pre-order! Hoping to keep seeing more trial events like these and hopefully for non-Playstation exclusive games as well. Assassin's Creed IV and Watch_Dogs perhaps? Ubisoft Singapore might be keen. 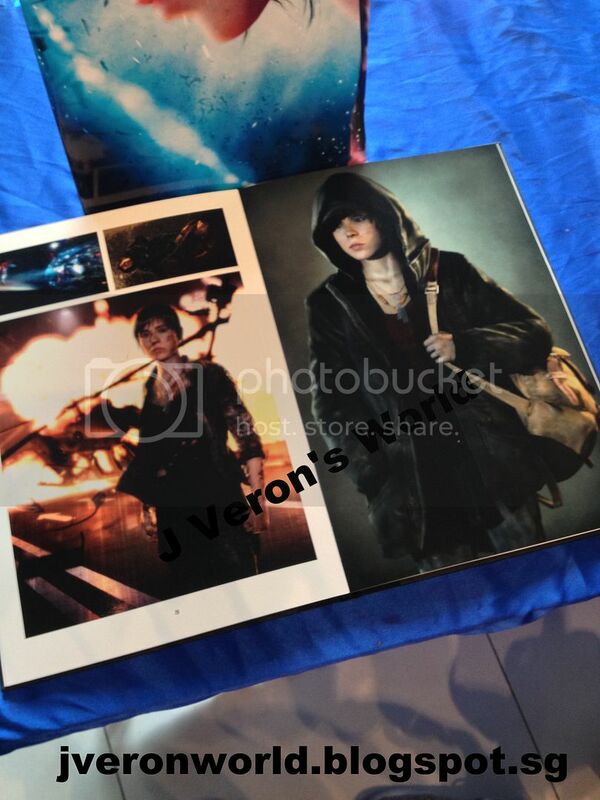 And crossing my fingers for a Infamous: Second Son event sometime next year. Wow.. So you were specially invited? But good article. Hope they can more events like this in the future. Actually there were! Two hot babes at the registration counter.. Should have asked them to pose for a pic.. Looks like you guys are more interested in the food and the babes!